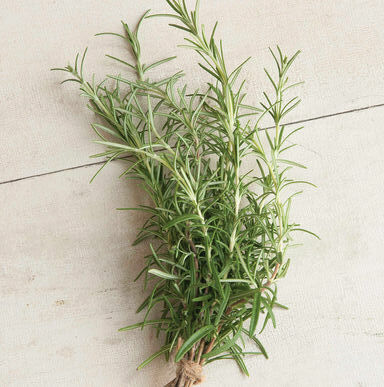 Native to the Mediterranean region, rosemary has silvery, needle-like foliage and delicate flowers. Popular for potted plant sales and with chefs. • Edible Flowers: Although the flowers are small, they have a bold rosemary flavor. They should be used fresh as a garnish for savory dishes and salads, and pairs well with roasted vegetables, fruits, or whipped cream. NOTE: Germination is naturally low and variable.